⬅ Why is Preheating Necessary? A Welding Procedure Specification has several variables which should be carefully specified. The values selected for the variables discussed below have a significant impact on weld soundness and mechanical properties. It is critical that these values be appropriate for the specific requirements of applicable code and job specifications. The variables in a WPS are the following. Process – The ideal welding process is that which produces the minimum required mechanical properties at the lowest cost. Common arc welding processes are SMAW, GTAW, FCAW-S, FCAW-G, GMAW, SAW. Electrode Specification – This is the specification assigned by AWS to the electrode (i.e. E7018, ER70S-6, EM12K, etc.). Minimum Preheat and Interpass Temperature – If required, the temperature that the base material needs to reach before welding can commence (preheat), and the temperature at which the material needs to be between welding passes. Welding Current or Wire Feed Speed – Amperage at which welding will be done. This can be expressed as current (amps) or inches per minute (wire feed speed). For current a WFS a range is usually specified instead of a specific value. Arc Voltage – Welding voltage, usually specified for a wire process, but can be dictated for a constant current process such as SMAW and GTAW. In a constant-current processes the voltage is determined by the arc length that the welder maintains, it is not a pre-settable variable. Travel Speed – How fast the welding is done. It can also be a range. 10. Position of Welding – Specifies whether welding is done in the flat, horizontal, vertical up, overhead or other positions (i.e. 1F = Flat Fillet, 2F = Horizontal Fillet, 3G = Vertical Up Groove, etc.). 11. Post Weld Heat Treatment – If required, instruction on the temperature that the welded assembly needs to maintain and for how long. Post weld heat treatment is done with the intent to preserve or improve mechanical properties. 12. Shielding Gas Type and Flow Rate – If using a process that requires shielding gas specify the gas or gas mixture as well as the flow rate. Gas mixtures should be exact (i.e. 75% Argon, 25% CO2) and flow rate can be a range (i.e. 40-45 cfh). 13. Joint Design Details – Provide a description of the joint. This can include material thickness, type of joint, gap (if any), land (if any), if it has backing, etc. As you can see simply calling out wire feed speed and voltage does not constitue a welding procedure. 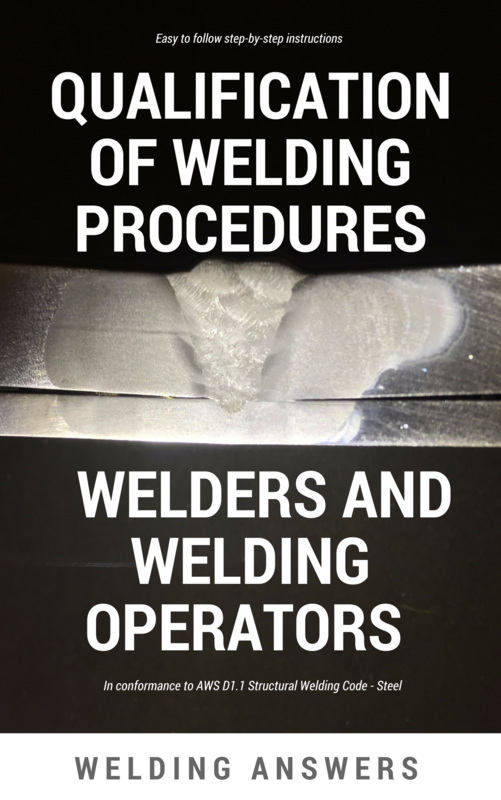 Many variables have an effect on the deposited weld metal. 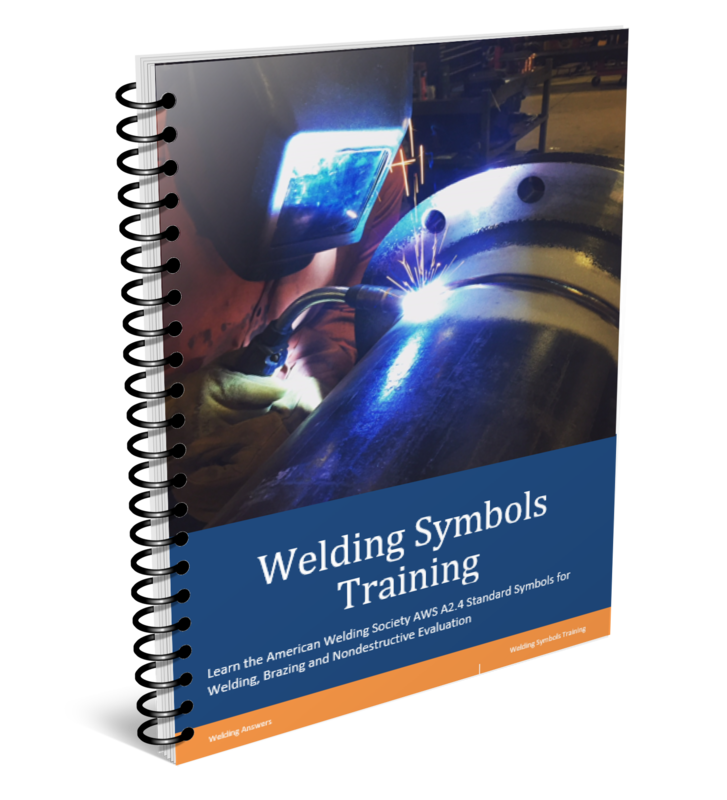 This is why many fabricators are asked to adhere to a code such as AWS D1.1 Structural Welding Code, API 1104, or ASME Section IX when qualifying both welding procedures and welders. Do you want more information on how you can peform your own qualifications? 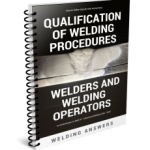 “Qualifying Welding Procedures, Welders and Welding Operators” is a guide developed to help you peform your own qualifications in full compliance to AWS D1.1 Structural Welding Code – Steel. 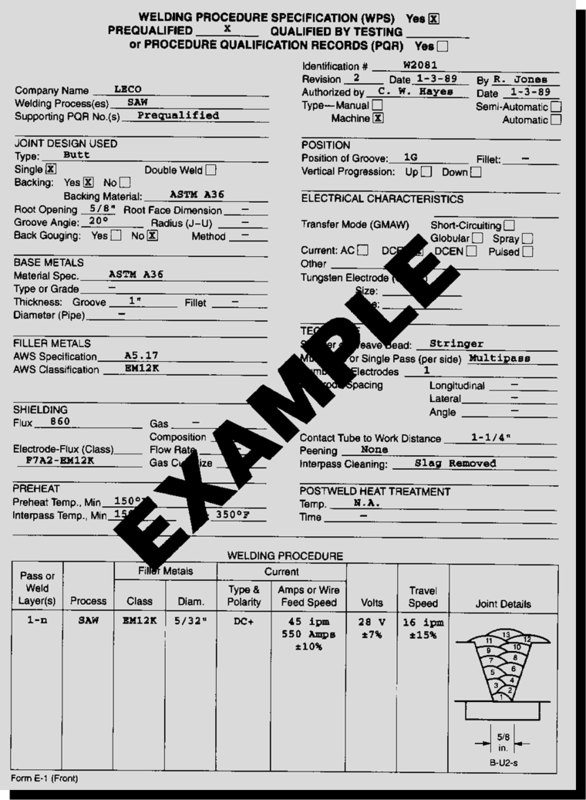 Hi, I am confused that if I have to make a WPS & PQR then how should I choose which part should I pick. I have 50 different combinations in my factory-10mm & 5mm, 6mm plate & 30 mm pin, 6mm & 28mm pin & similarly. So, should I make WPS & PQR for all combinations. Hello Rajeev, great question. You do not need to have a PQR for every combination. 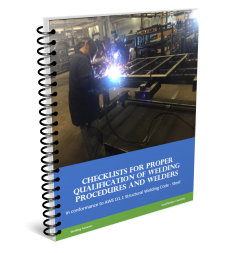 The code you are welding to will determine the number of PQR’s needed. For example, if you are using AWS D1.1 Structural Welding Code (assuming all base material is the same as far as composition/chemistry) your qualification test will cover a thickness range rather than a specific thickness. The thickness of the plate will also determine the type and number of tests needed (i.e. reduced section tension, root bend, face bend, side bend). If you are qualifying a WPS and run nominal plate thickness of 3mm to 10mm you are required to provide and test 2 reduced section tension specimens, 2 root bend specimens, 2 face bend specimen. A provision is made to replace the root and face bend specimens with side bend specimens on plate of 10mm thickness. If the tests pass then that PQR qualifies the WPS for material thickness of 3mm thickness up to 2 times the thickness of the plate tested. So a PQR done on 10mm plate should cover all combinations between 5mm and 20mm. In your case you can run a WPS using 25mm plate or thicker and it will qualify the WPS for any material 3mm to unlimited thickness. So you can have one PQR. Keep in mind that the ranges of amperage, voltage, wire diameter should be kept within the window allowed by AWS D1.1. For example, if you weld the 3mm plate with 0.9mm diameter wire and the 30mm plate with 1.2mm diameter wire you would need two separate WPS and PQR. You may need more than one PQR if the material composition you are using requires preheat and/or postweld heat treat above a certain thickness. For example,3mm ASTM A36 requires no preheat when the base material temperature is at 0 degrees celcius or above, while 30mm ASTM A36 does. This is for AWS D1.1, but the rationale used is the same regardless of code. You need to look in the code or specification for this information whether is D1.1, API1104, ASME Section IX or a specific customer specification. When in doubt check with the engineer. If you are the engineer check with your customer. What exactly do you need to know? With lap joints we usually don’t deal with a radius. Please provide more detail so we can help you.